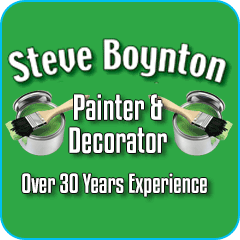 I’m a local painter and decorator that is professional and works to the highest of standard to give customers the best possible service. I have over 30 years of experience within the industry able to carry out interior and exterior work in many different areas. I am friendly, reliable and trustworthy whilst working in a clean tidy manor to ensure your property is looked after at all times. I’m flexible and willing to work in a way that meets the client’s requirements. For a free estimate and advice contact me today. Steve did excellent job highly recommended very reliable and clean and tidy after completing the job would definitely use again.